Answering the issue whether an amendment to a complaint filed under Section 200 Cr.P.C. is impermissible in law, the Supreme Court of India has held in a judgment S.R.Sukumar vs. S.Sunaad Raghuram (Criminal Appeal No. 844 OF 2015) rendered today that if the amendment sought to be made relates to a simple infirmity which is curable by means of a formal amendment and by allowing such amendment, no prejudice could be caused to the other side, notwithstanding the fact that there is no enabling provision in the Code for entertaining such amendment, the Court may permit such an amendment to be made. The Apex court’s ruling came in an appeal which arose out of an order dated 20.01.2012 passed by the High Court of Karnataka at Bangalore in Criminal Petition No.5077/2007 wherein the High Court declined to quash the order dated 21.06.2007 passed in PCR No.8409/2007 thereby confirming the order passed by the VII Addl. Chief Metropolitan Magistrate, Bangalore permitting the respondent to carry out the amendment in a criminal complaint on the premise that the amendment was made prior to taking cognizance of the offence. On 9.05.2007, the respondent in the appeal before the SC filed a complaint under Section 200 Cr.P.C. against the first appellant and his mother Smt. H.R. Leelavathi (A-2) alleging that they have committed the offences punishable under Sections 120-B, 499 and 500 IPC. In the complaint, the respondent had alleged that he was born of the wedlock of his father late Shri S.G. Raghuram and mother Late Smt. B.S. Girija. However, his father after the death of his mother Girija, married another divorcee lady namely Smt. H.R.Leelavathi (A-2) who at the time of the second marriage, already had a son aged six years S.H. Sukumar (appellant), born from her previous wedlock. The respondent alleged in the complaint that his father’s name i.e. Late Shri S.G. Raghuram has been purportedly used by the appellant portraying as if he is his natural father. Respondent alleged that the act of the appellant using name of respondent’s father as his own father often created doubts among the near and dear ones about the legitimacy of the respondent-complainant and integrity and character of his father which had affected the respondent’s reputation. Respondent filed the complaint on 9.05.2007 and his statement was recorded in part on 18.05.2007 and further recorded on 23.05.2007. Next day i.e. on 24.05.2007, respondent moved an application seeking amendment to the complaint by praying for insertion of paras 11(a) and 11(b) in the complaint stating the fact of poem named ‘Khalnayakaru’ written by the appellant in connivance with his mother (A-2) depicting the respondent as Villain-‘Khalnayak’, with an intention to malign the character, image and status of the respondent. The trial court allowed the amendment on 24.05.2007 and took the cognizance of the offence and directed issuance of the process to the appellant vide Order dated 21.06.2007. Aggrieved by the Order dated 21.06.2007, the appellant approached the High Court praying for quashing the proceedings in PCR No.8409/2007 registered as C.C.No.15851/2007 on the ground that there is no provision under the Code, providing for amendment of the complaint. The High Court vide impugned Order dated 20.01.2012 dismissed the petition filed by the appellant observing that before the date of allowing amendment application i.e. 24.05.2007, cognizance of case was not taken and therefore no prejudice is caused to the appellant. Further, the High Court was of the view that if amendment is not allowed, then the multiple proceedings would have ensued between the parties. Mrs. Kiran Suri, Senior Advocate, appearing for the appellant contended that under the Criminal Procedure Code there is no provision for amendment of complaint and in the absence of any specific provision in the Code, courts below erred in allowing the amendment in criminal complaint. Mrs Suri also contended that the act of taking cognizance of an offence by the Magistrate precedes the examination of the complainant under Section 200 Cr.P.C. Counsel for the respondent on the other hand contended that the respondent-complainant was examined in Court on oath in part on 18.05.2007 and his examination was deferred to 23.05.2007 for further inquiry and during the course of inquiry, the amendment application was filed and the same was allowed in order to avoid multiplicity of proceedings. It was further contended that on 18.05.2007, no cognizance was taken and therefore it would be wrong to suggest that cognizance was taken twice by the Magistrate. It was submitted that though there is no enabling provision in the Criminal Procedure Code to amend the complaint and there is no specific bar in carrying out the amendment and in the interest of justice, Court has power to do so. A Bench of the Apex Court comprising of Justice T.S. Thakur and Justice R. Banumathi after considering the rival contentions held that if the amendment sought to be made relates to a simple infirmity which is curable by means of a formal amendment and by allowing such amendment, no prejudice could be caused to the other side, notwithstanding the fact that there is no enabling provision in the Code for entertaining such amendment, the Court may permit such an amendment to be made. Writing the judgment for the Court, Justice R. Banumathi however added a caveat to the above proposition of law that if the amendment sought to be made in the complaint does not relate either to a curable infirmity or the same cannot be corrected by a formal amendment or if there is likelihood of prejudice to the other side, then the Court shall not allow such amendment in the complaint. The Court also held that merely because the complainant was examined that does not mean that the Magistrate has taken cognizance of the offence. Taking cognizance of an offence means the Magistrate must have judicially applied the mind to the contents of the complaint and indicates that Magistrate takes judicial notice of an offence. Mere presentation of the complaint and receipt of the same in the court does not mean that the Magistrate has taken cognizance of the offence. 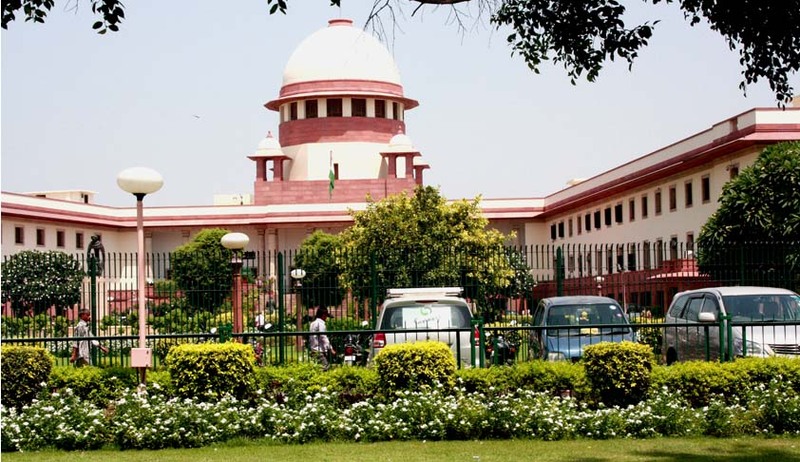 The Apex Court also categorically held that a Magistrate can be said to take cognizance of an offence when he decides to proceed against the person accused of having committed that offence and not at the time when the Magistrate is just informed either by complainant by filing the complaint or by the police report about the commission of an offence.